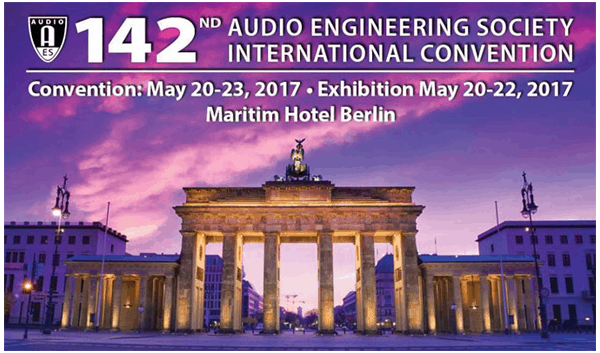 In conjunction with our partner ADMESS GmbH, we’re excited to be participating in the 142nd AES International Convention. From the high-performance APx555 audio analyzer to calibrated AP measurement microphones for electro-acoustic test, there are plenty of reasons to stop by stand #125 – we hope to see you this weekend in Berlin! As always, the AES has a full program of paper sessions, engineering briefs, workshops and tutorials. More information is available via the links below, but make sure to catch Jayant Datta, Audio Precision CTO, in Workshop 05 – Bluetooth Music & Gaming Audio in the Car.